This is my first question here. I have been looking but haven't found a proper answer. Hope someone can put me on the right track. I have painfully built a scene, with a lot of problems because I cannot seem to be able to move it smoothly even in wireframe mode. When I look at the memory usage, at most it gets to 8gb. I have 16 installed (Mac 27" High Sierra iCore5 AMD Radeon R9 M380 2048 MB) I'm not concerned with render times, but with being able to work smoothly a comfortably not having to see the spinning wheel every time I move around the scene. My questions are: Is it normal to have such a poor performance in the viewport even in wireframe (details of scene attached)?? If not, how do I fix this? Having more memory would solve this issue? Having a eGPU solve this? Again, not concerned with time renders but with viewport performance. I use a MacBook Air 16", My school computer. Its a pile of ****. You cannot have complex meshes. As you said it restricts production. Though, if you have multiple meshes, use blenders layers. Use one to construct on, the others hold the rest. 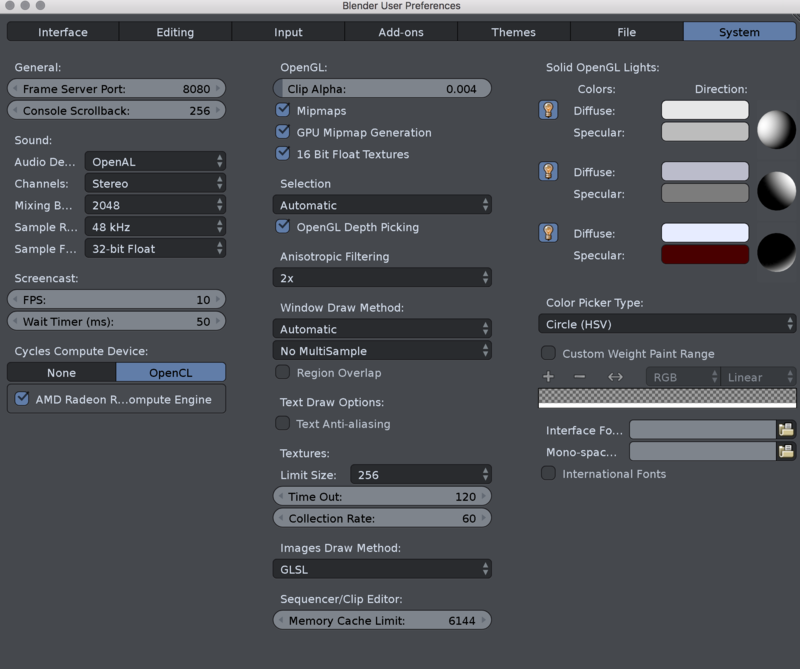 Just note, when you render you have to select all the scenes your objects are on. If it is a sculpt, you are just going to have to reduce polygons. I recommend using the modifier decimate. Though it is slow to tweak with high polygons, you can normally reduce polygons in massive amounts without losing much detail. If you are using any particle effects, just hide them until you need them. BTW: I find object mode and sculpt mode the fastest. Wireframe mode is usually quite slow. I am fairly sure blender doesn't worry about vertexes behind faces, but don't quote me on that :-). Not the answer you're looking for? Browse other questions tagged 3d-view osx wireframe or ask your own question. Why is the smoke preview not showing in Blender's viewport? Viewport performance changes when in camera? How do I change the mode of perspective? How to increase performance for GPU rendered interface parts?